The staff at the Mandalay Bay Resort and Casino in Las Vegas either interacted with mass shooter Stephen Paddock or entered his room at least 10 times before the night he killed 58 people at a music festival from his suite, a hotel representative has reportedly revealed. The day of the October attack, Paddock had a room service delivery and a housekeeping call, the hotel said. It wasn’t clear, however, if anyone entered Paddock’s room that day, or, if they did, what they saw. The revelation was made by a hotel representative responding to questions from the Las Vegas Review-Journal concerning reports that Paddock had hung a “do not disturb” sign on his door for three days as he prepared for his massacre. The hotel has come under fire for apparently failing to check on a guest who turned out to be a mass killer. 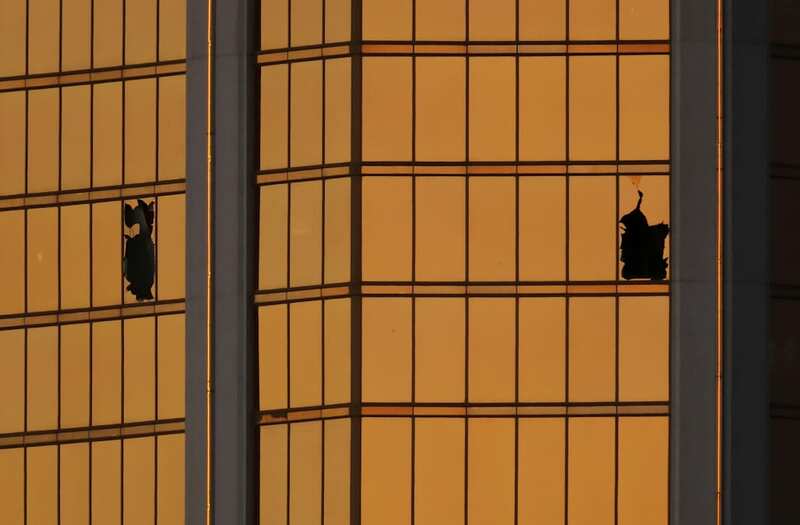 Paddock, 64, fired more than 1,100 rounds of ammunition on concertgoers at the Route 91 Harvest Festival from the broken window of his 32nd-floor corner suite at Mandalay Bay on Oct. 1. He then killed himself. He had an additional 4,000 rounds in his room along with an arsenal of weapons. It’s not clear what his motive was. A representative of MGM Resorts, which owns Mandalay Bay, emailed the information on Paddock interactions after the newspaper asked if changes were being considered to hotel policies on entering rooms without a guest’s consent. “Mandalay Bay staff, room service and housekeeping had contact with [Stephen] Paddock or entered his suite more than ten times over the course of his stay, including the three days leading up to October 1. As a result of these interactions, there was no need to conduct a welfare check” on Paddock, the representative said in an email Friday. The representative did not respond to further requests to elaborate on details of the interactions or what staff may have observed. The spokesperson said the do-not-disturb policy had not changed. After criticism that Mandalay Bay apparently did not check on Paddock’s room for a period of time, Disney World resorts changed its “do not disturb” sign to a “room occupied” sign and said rooms would be checked by staff at least once a day. A spokeswoman did not link the change to the Vegas mass shooting but told the Review-Journal it did so for safety, security and guest experience.